Marshall, Gerstein & Borun LLP is pleased to join a prestigious list of sponsors for the American Heart Association’s 2014 Heart Innovation Forum being held November 14, 2014, 8:30 a.m. to 6:00 p.m. at Venue SIX10 in Chicago. This one-day forum will bring leaders in the life science industry together to discuss innovative ways in quickening the application of science to better understand how to treat heart disease and stroke. The goal of the Forum is to foster collaboration across disciplines and engage with investment firms that fund novel and innovative ideas, with the American Heart Association facilitating high level dialogue and discourse among the national audience. In addition to a panel discussions, educational sessions, plenary and Open Innovation Challenge award presentation, the event will provide executives, philanthropists and institution leaders an opportunity to network among peers who are avid about moving the most promising research and innovations forward. To view the meeting agenda, please click here. 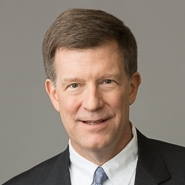 Marshall Gerstein’s Managing Partner, Jeffrey S. Sharp, contributes to the American Heart Association as an active member of the 2014 Heart Innovation Forum’s Executive Leadership team. He also helps to raise funds and awareness that support the American Heart Association and American Stroke Association’s research efforts and community education programs. Marshall, Gerstein & Borun LLP focuses exclusively on intellectual property law, and protects, enforces, and transfers the intellectual property of clients, worldwide. The Firm assists companies and nonprofits at all stages, including patenting, licensing, transfers, and collaborations. With backgrounds in mechanical, electrical, and chemical engineering and biotechnology, Marshall, Gerstein & Borun’s professionals work with clients to address complex technical and legal issues relating to such diverse medical device products as cardiology and cardiothoracic surgery, anesthesiology and pain management, continence care products, drug delivery devices, dental equipment, medical diagnostics and imaging, orthopedic equipment and implants, and medical records management. The American Heart Association is the largest voluntary health organization fighting heart disease, stroke and other cardiovascular diseases in communities across America. These diseases devastate millions of Americans of all ages and cause nearly 950,000 deaths each year. To prevent, treat and defeat these diseases, the association educates the public and health professionals and advocates for healthier communities. During the last fiscal year, the Association provided $134 million in research funding.